Seriously, I know we all know this feeling. 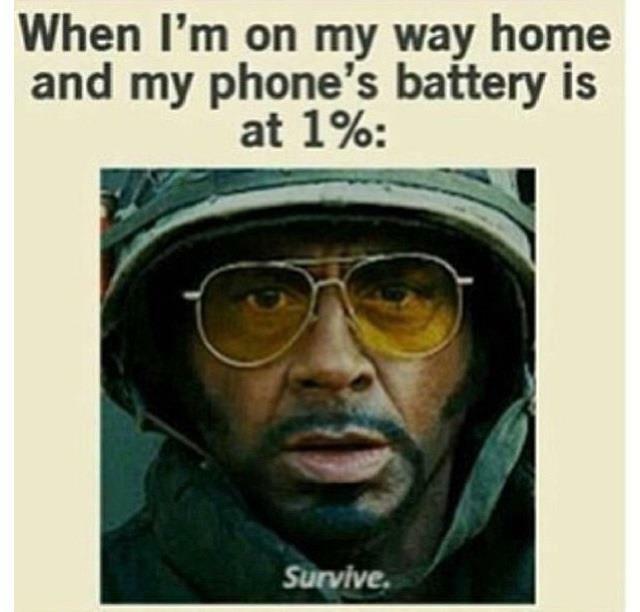 When you’re on your way home and your phone battery is 1% it’s like survive! What would we do if we didn’t have that working phone for a whole 30 minutes? However my battery never dies because I keep it charged at work and I bring an extra battery with me for those nights I stay out till 8am.